Offered to... "anyone in attendance that has a resentment." A not so subtle suggestion that it's "Not Them." 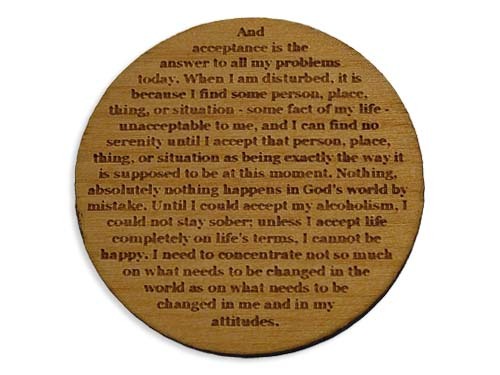 These expertly laser engraved wooden recovery tokens are a nice motivational coin for the "new-comer" or anyone that could use a little help with a resentment. Features the Acceptance passage on the reverse side of the medallion. 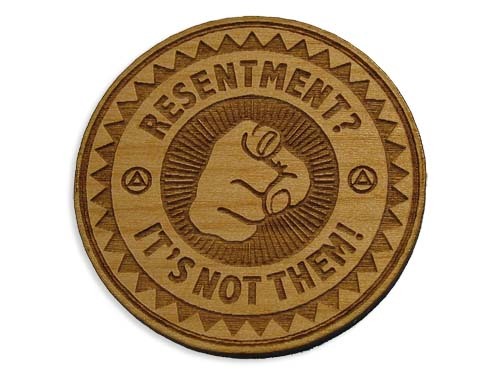 These wooden resentment chips are beautifully made (as are all of your items) and a fun gift to give to sponsees. Thank you for your unique recovery gift items!